Look no further. The presenter you’re searching for is here! fair or exhibition, or lead your next corporate or team-building event. How about an idea no-one has ever done before? I’ll do it! Trust me - there are no limits to your imagination! on social media and I’ll get back to you as soon as possible. Let me introduce myself. My name is Felix Uhlig and I come from Hamburg in Germany. As a native-standard English and German speaker, I am the ideal presenter to host your next event or gala, introduce your product at a trade fair or exhibition, or lead your next corporate or team-building event. Trust me – there are no limits to your imagination! Don’t waste time. Message me today using my Contact Form, or get in touch on social media and I’ll get back to you as soon as possible. I look forward to hearing from you! 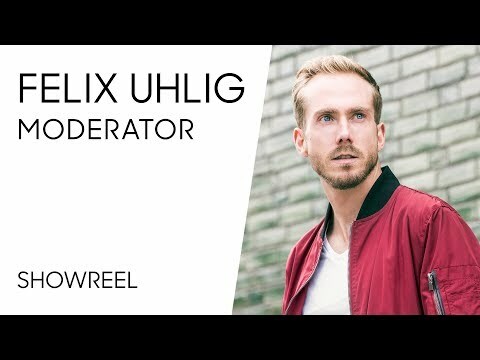 Felix Uhlig hosts your live broadcast or TV recording multilingual, confident and authentic. Interviews and or reports: With him your idea, your script receives a voice and a face. 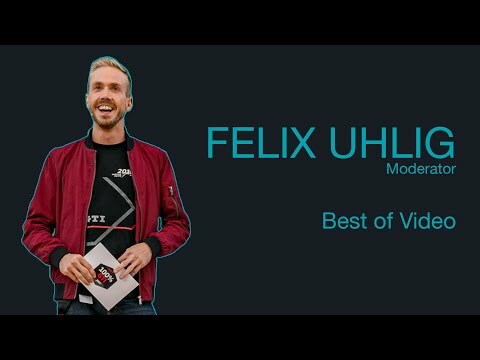 Felix Uhlig captures the mood of the audience and reacts to new situations within seconds. As a host, he hosts competently and entertaining with an eye for the essentials. Felix Uhlig will host your trade fair presentation professionally in German and in English. Increase your leads and benefit from measurably more customer contacts at the trade fair stand. Felix Uhlig guides through your show program and always keeps the lead in his hand. Charming, professional and elegant with one goal: make your event an unforgettable experience for you and your guests. As in 2017, Felix will be hosting the Domino’s Pizza Deutschland Rally this year. Part of the program is the grand finale of the Pizza Baker Contest, where the best pizza bakers in Germany fight for the title. This year, Felix will again be on the roads of Germany for the German Postcode Lottery in december, surprising happy winners at their doorstep. At this year’s BAUMA, the world’s leading trade fair for construction machinery, building materials and mining equipment, construction vehicles and construction equipment, Felix will host various Facebook live sessions and product presentations for Jungheinrich AG. Note: You can revoke your consent at any time for the future by sending an e-mail to info@felixuhlig.de. Ihr Vertrauen ist mir wichtig. Daher möchte ich Ihnen jederzeit Rede und Antwort bezüglich der Verarbeitung Ihrer personenbezogenen Daten stehen. Wenn Sie Fragen haben, die Ihnen diese Datenschutzerklärung nicht beantworten konnte oder wenn Sie zu einem Punkt vertiefte Informationen wünschen, wenden Sie sich bitte jederzeit über die E-Mail-Adresse ich[at]felixuhlig.de an mich.